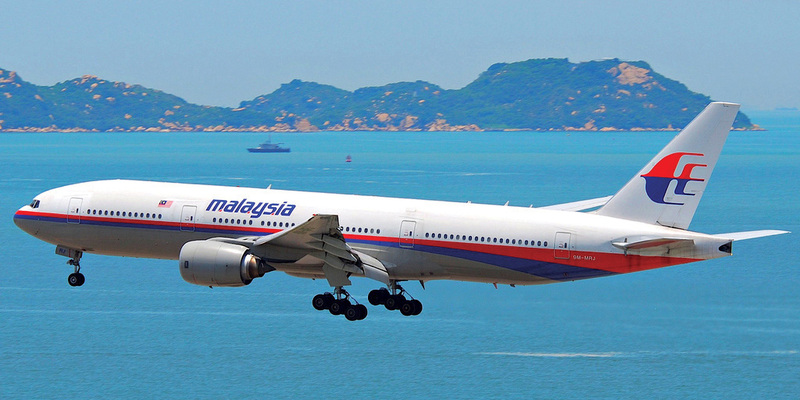 Malaysia Airlines lost two of its Boeing 777s last year–MH370 presumably over the Indian Ocean in March and MH17 over Eastern Ukxraine in July. A flaperon found on Reunion Island in July this year offered the first piece of hard evidence that the former crashed into the sea. The disappearance last year of Malaysia Airlines Flight MH370 focused attention on techniques for monitoring and assisting aircraft in distress around the world. As with the case of Air France Flight 447 over the Atlantic in 2009, inconsistencies in activating search and rescue (SAR) protocols contributed to the delays in identifying the ongoing emergency and subsequently locating the wreckage after the crash. Besides the loss of life, millions of dollars and countless hours of searching were wasted looking in the wrong places. AIN asked ICAO SAR consultant and UAE General Civil Aviation Authority contract holder Brian Day to examine current state of international cooperation in SAR operations. Search and Rescue (SAR) has a simple, unambiguous purpose: to save lives–by rescuing those in distress and also by recovering valuable safety data from accidents for later application in the industry. But recent history shows that, internationally, SAR has been dysfunctional in its response to tragedies. There are 191 sovereign state SAR systems that make up the Global SAR Plan. The challenges in organizing cooperation, communication and coordination within the worldwide SAR network are daunting. No single State SAR agency can act alone; because none have sufficient resources. SAR customarily uses assets used for other primary purposes–such as military–but in its specialized way. Not being owners, operators or pilots-in-command, SAR mission coordinators do their best to fulfill their wide-ranging mandate, commonly acting under the severe duress of an emergency. It starts with eliciting cooperation, communication and coordination from a vast array of participants. Hence the operational hub of the SAR service is named the Rescue Coordination Centre (RCC) and the chief RCC operational officer, the SAR Mission Coordinator. · Evacuate survivors to a place of safety. · specialized expertise across many sectors including medical, police, military, maritime, security and diplomatic. SAR is not just an ethically humanitarian service, but also an essential constituent of the family of air navigation services mandated by the Chicago Convention and a legal obligation of all States contracted to it. The Convention requires cross-border cooperation among the States in its provision: States are required to permit the owners of distressed aircraft, or authorities of the State in which the aircraft is registered, to assist the State in whose area an accident occurs (from Article 25; Convention on International Civil Aviation). This is an operational necessity, but has proven time and again to be a diplomatic challenge. Air traffic control plays a crucial role in ensuring SAR action is provided rapidly and effectively. Upon an aircraft encountering an emergency, ATC, worldwide, is required to provide In-Flight Emergency Response (IFER) service to assist flight crews. Further, upon an aircraft losing communication, being lost to surveillance or experiencing a malfunction, ATC is required to provide SAR Alerting service, declaring what are known as a SAR Phases. These are categorized by the seriousness of an aircraft’s emergency situation and could include an Uncertainty Phase (indicating doubt about an aircraft’s safety), an Alert Phase (indicating apprehension) or a Distress Phase (indicating reasonable certainty of grave and imminent danger). ATC is mandated to immediately notify the declaration of each SAR Phase to the appropriate RCC. Upon receipt of that notification, the RCC will evaluate the SAR Phase, gather more intelligence and, as judged necessary, either alert SAR facilities or actually commence SAR procedures. But if ATC fails to declare a SAR Phase or to notify the RCC of its declaration, the RCC, in its ignorance, will remain inactive. No SAR action will be taken. And unfortunately, what is mandated by international law is far from what typically occurs in practice. For example, consider the case of a UPS flight departing from Dubai International Airport five years ago. On September 3, 2010, 22 minutes after taking off for Cologne, Germany at 2:53 p.m., the crew of UPS 6, a Boeing 747-400, reported a fire on board. Neither at the initial notification of the emergency, nor at a subsequent Mayday call, nor at any time thereafter, did ATC declare a SAR Phase of any type. Neither, up to the time of the crash near the Minhad Air Base did ATC ever notify the RCC. So no RCC was ever activated and no SAR planning was ever undertaken. Tragically, two crewmembers died in the crash landing, but from an SAR perspective, if the aircraft had crashed or ditched in the Gulf, it could have fallen in any of the Bahrain, Emirates or Tehran SRRs. The borders of these small search regions all converge at a point very close to the location of the emergency. There is no Regional SAR Coordination Plan agreed to by Gulf States, but because areas of jurisdiction are small in the Gulf, and closely adjacent, any major SAR action is likely to require coordinated input from a number of States and from their maritime, police, military, medical and communication agencies. These Regional SAR Plans are vital. Their purpose is to list the responsibilities and functions of all participants within cooperating States and to include databases of such resources as search craft and their terms of availability and performance, on-board equipment, droppable supplies, crew complements, contact details for other emergency providers, airlines and key government personnel, communication facilities, meteorological offices and so on. These Plans cannot be instantly developed at the time of a distress. They need to be pre-emptively agreed upon by all participants, documented, authorized, practiced and regularly updated. Without them, any response to a major emergency that crosses sovereign borders is likely to be shambolic and will, itself, threaten to become a disaster. Not the least of the challenges in conducting SAR actions in the Gulf may be diplomatic, given the likely requirement for entry of foreign aircraft, especially military or police aircraft, into the airspace of adjoining States. SAR planners would do well to contemplate the complexities of a cooperative SAR response to a heavy commercial aircraft, with a full passenger complement, ditching in the Gulf and hundreds of persons surviving the impact. The RCC’s place in the SAR system can be understood as a hub at the center of many spokes. The multiplicity of connections and interfaces is arresting. If any one SAR system’s complexities of connections was to be multiplied 191 times, (that being the number of State SAR systems that makes up the Global SAR Plan), the extent of the challenges of cooperation, communication and coordination confronting the worldwide SAR network becomes clear. The RCC organizational network is a close adaptation of the SHELL Human Factors model that illustrates the interfaces between the components of an operational system: S for Software (policy and procedures) and H for Hardware (equipment and displays), all in E–a given operational Environment, and L for Liveware, the human operational personnel. It has been shown that the interface of components, especially where one state’s Liveware interfaces with another, is where systems are most vulnerable and failures are most likely to occur. Diagrammatically, the various components are depicted as having ragged edges. This is to represent the impediments to communication, cooperation and coordination between them. Cross-sector cooperation is not an inherently smooth process. The SHELL model can be adapted as a representation of the SAR system by labeling the central LIVEWARE component as the RCC. The ragged edges that impede communication can then be understood to be the different languages, cultures, proficiencies, policies and procedures of the 191 States providing SAR. All of these are severe obstructions to the transfer of information and to the delivery of effective SAR services. Malaysian Airlines Flight MH370, which disappeared on a March 8, 2014 flight from Kuala Lumpur to Beijing, China, represented another SAR catastrophe. This one had its genesis at the boundary between the Malaysian and Vietnamese areas of ATC/SAR responsibility, and there were alarming shortcomings in In-Flight Emergency Response, SAR Alerting and the RCC response itself. These breakdowns were most apparent at points of interface between participating sectors: ATC with ATC, ATC with SAR, SAR with Security, civil with military, aviation with maritime and State with State. · Failure to pass radar data from two civil installations that showed intermittent paints of an aircraft tracking west to the RCC during the initial SAR response. An entire week was lost in a futile search in the South China Sea when there was compelling radar evidence that the aircraft had tracked west to the Andaman Sea and, later, even farther west. And as we now know, debris from the Boeing 777 washed ashore on Reunion Island, more than 3,500 miles west of its departure airport in Kuala Lumpur. · SAR coordination overall was severely hampered by a lack of English language proficiency. It’s clear that the repeated SAR shortcomings and deficiencies that have characterized these recent actions are overwhelmingly organizational. The search for MH370 is the most expensive aviation SAR action ever undertaken in the history of flight. Real numbers for the search costs will probably never be accurately known but are said to be in the hundreds of millions of dollars and the damage done to the credibility of the airline industry is immense. · 36 percent have no formal arrangements for coordination between the aeronautical and maritime authorities. · 72 percent have no SAR staff proficient in the English language. In summary, across the whole range of ICAO SAR provisions, the global rate of States’ effective implementation stands at about 50 percent. They have been so for decades. Proponents of global SAR services are urgently calling for a worldwide network of consolidated Regional RCCs serving amalgamated SAR Regions that will have the appropriate capacity, expertise, reach and readiness of response to provide effective SAR services to heavy, passenger carrying aircraft operating across borders as a matter of regular and speedy course. They contend this arrangement need not supplant the existing 191 State RCCs and associated search areas; states have every right to establish RCCs within their sovereign territories to serve their domestic needs as they best determine. Indeed, this is their obligation under international law. What is suggested, however, is that that major SAR actions become the remit of fully functional Regional RCCs. In fact, for decades ICAO has observed that “in many areas of the world, the fastest, most effective and practical way to achieve a global SAR service is to develop regional systems” (from its International Aeronautical and Maritime SAR (IAMSAR) manual). Sovereign states have verbally supported the concept, but concerns over sovereignty, nationalism and politics have stood in the way. Other air navigation services have adopted regional organization, including regional safety oversight groups, upper airspace ATC, accident investigation and flight operations inspection. Proponents say a regional organization of Aviation RCCs would follow the organizational strategy of maritime SAR counterparts. There is already a commissioned network of five Regional Maritime RCCs that serve the entire African coastlines of the Atlantic and Indian Oceans. They are at Morocco, Monrovia, Mombasa, Lagos, and Cape Town. According to SAR experts, establishing Regional Aviation RCCs for major SAR actions would extend coverage to all States through Regional SAR Plans for cross-border use of shared resources, assets, expertise and costs. It would standardize SAR services globally at ICAO-compliant levels, integrate all participating sectors: military, maritime, security, police, etc., and greatly reduce hazardous points of operational interface in the SAR system.